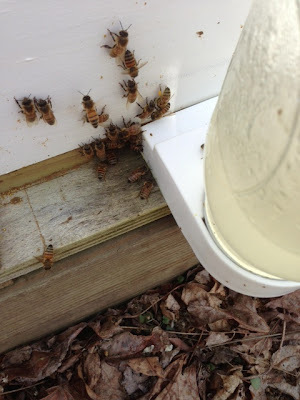 Abbott Honey: April Spring Day and the Bees are bringing back so much pollen today!! April Spring Day and the Bees are bringing back so much pollen today!! I didn't see much yesterday but it was quite a bit warmer and the sun was out. I did notice some bees near the daffodils blooming in my yard. There are a few tress budding. Very busy and active today!